Recently, I wrote a blog on ordering seeds for my garden. However, one potential vegetable creates a dilemma. Tomatoes. I love tomatoes but in the North Country tomatoes try the patience of a farmer. Why? Because the growing season in the Adirondacks is too brief. When the leaves on the stately maple tree next to the Methodist church turn red, tomatoes remain green. Ah, the folly of nature. 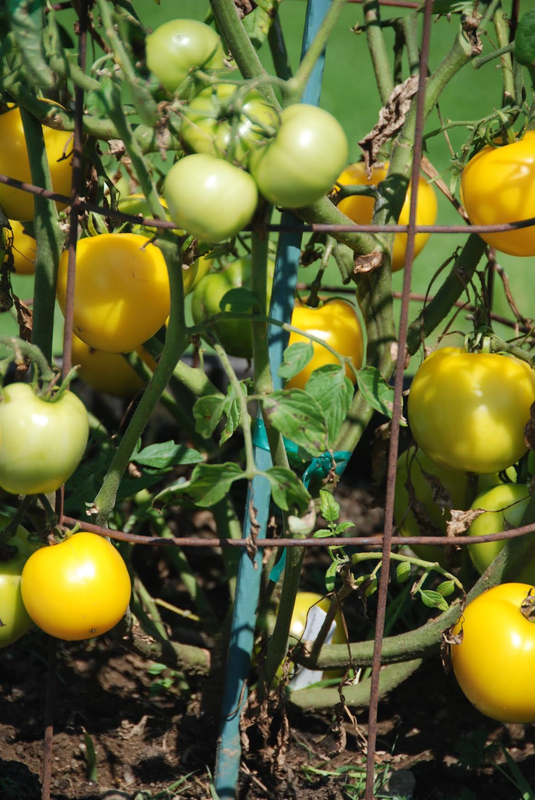 Why can’t the leaves retain their rich green color and the tomatoes acquire a luscious red? Then I would be content. Thus the quandary. To buy tomato seeds and invest in frustration or to buy tomatoes at the local market and accept defeat. Enter Ivan, my neighbor on Palisades Road. An accomplished farmer. When anyone mentions growing tomatoes he sees red and devotes the winter months to devising techniques guaranteed to speed the ripening. One year, as I passed by on an early spring day, Ivan’s garden was dotted with piles of manure and tires from a Chevy, Ford, and a John Deere tractor—a veritable collection of old tires of every size. When I asked Ivan whether he contemplated growing cars to fit the tires he chuckled. Score: Green tomatoes 1. Ivan 0. A year passed, and, in May, Deer Park jugs proliferated in the garden. Next to the truck tires. Next to the manure. On top of the thistles. I greeted Ivan who had a smug look on his weathered face and a bounce to his walk. He was definitely on to something. Score: Green tomatoes 2. Ivan 0. Was Ivan discouraged? Definitely not. This made no sense but I nodded in agreement. Score: Green tomatoes 3. Ivan 0. However, at Brant Lake there is always an ingenious scheme to coax a plant to do what it was never meant to do. For instance, one farmer crossed strawberry plants with milkweed, convinced the result would be strawberries and cream–––but that’s another story. And that is what I love about my neighbors at Brant Lake. They are never discouraged and, as long as we have new ideas to welcome tomorrow, life is worth living! April 16, 2017 in Brant Lake.